1. If you are injured while at a business or in a building, it is NOT necessary to fill out a report with management or an employee to preserve your claim. Instead, do your own investigation. For example, take pictures and get the contact information of witnesses and the employees on duty. 2. If you are injured by a foreign object in your food or other product, take pictures and save the whole item. If it is perishable, take pictures of the item in its original condition and save the foreign object. 3. Sometimes, conversations can be valuable evidence in your case. You can record YOUR OWN phone calls and conversations in New York without consent from another party as long as you are one of the parties. This is known as “one party consent.” However, this may not apply if all the parties are not in New York at the time of the conversation. 4. If you are injured in an elevator, write down or photograph any identifying letters or numbers for the elevator car you were in at the time of your injury so that a proper investigation can be done as soon as possible. 5. Save your pay stubs. 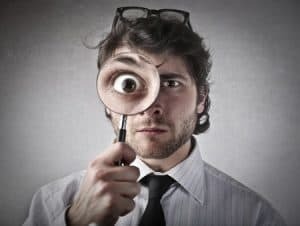 These can be very useful for establishing the amount of a lost wage claim after an injury and provide proof of unfair wage practices where you feel you have not been paid what the law requires. This information can become difficult to get if you do not return to work after an injury or if you are fired. Always remember, help is a phone call away! Whether your car is in the shop or you are going on a trip, many of us need to rent a vehicle from time to time. When renting, you will be given the option to purchase “supplemental insurance” in case you are involved in an accident. The cost of this insurance is often as much as the charge to rent the vehicle itself. What many people do not know is that you may already be covered, making this insurance unnecessary. The insurance policy for the vehicle you own includes both liability and property damage coverage. Whenever you rent a car, this personal auto policy provides the same coverage for the rental vehicle. If you have liability, collision or comprehensive coverage on one of your cars, you also have those coverages on a car that you rent. Your insurance company may also provide a daily allowance toward your rental cost when your vehicle is otherwise covered for damage or repairs so be sure to ask your carrier! However, your personal auto policy may only protect you while the rental car is used in the US and Canada. Your coverage may also exclude a rented truck or van (even minivan) used for business purposes. In New York, the renter of the vehicle, the renter’s spouse (if they over 18), operators in emergency situations and any drivers listed in the rental agreement are authorized to drive the vehicle. However, allowing unauthorized drivers to operate the vehicle could lead to coverage problems and is probably not a good idea. Coverage through your personal auto policy will usually apply when you get a “loaner” car from your dealer as well. Many credit card companies also offer insurance if you rent a vehicle using their card. 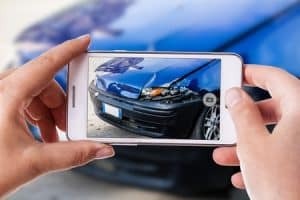 This is usually considered “secondary” insurance because it doesn’t apply until after your personal auto policy and the rental company’s coverage pays. Credit card coverage may help you pay for deductibles, coverage gaps, or damages exceeding your primary insurance payout. There’s really no “standard” credit card coverage, so call your company to find out what protection they provide. For some people, the supplemental insurance from the rental company may be a good idea. For instance, it may protect you from a raised auto insurance premium if you damage the rental car. Supplemental coverage might also be a smart idea if you carry a high deductible on your auto insurance policy or if you do not own your own vehicle. 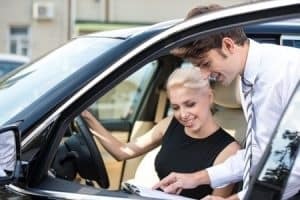 Also, supplemental coverage usually provides excess liability coverage of up to $1 million for the time you rent a car which is higher than most personal policies. As always, no matter what you are driving, stay safe and remember….help is a phone call away! 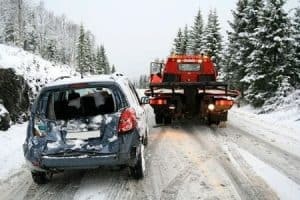 What You Should Know When You Need a Tow! can arise between an insurance company and the tow company over such things as storage fees and towing charges. This can have a serious impact on your ability to get compensation for damage to your vehicle. If you cannot afford the out-of-pocket expense to retrieve your car when these disagreements arise, you may be unable to retrieve your vehicle, the license plates (which may be necessary for a new vehicle or to cancel existing insurance) or your belongings. If your circumstances require your vehicle to be towed by a company that you are unfamiliar with, do not assume anything. Promptly find out where your car is being held and consider getting it relocated to a more suitable location, such as a storage yard you trust or even your own home if space is available. Remove your license plates from the vehicle as soon as it can be done legally and safely so that you have them when you need them. Being stuck out on the road can be scary. Additionally, if you have been injured in an accident, your car may be the last thing on your mind. Having the right information before the situation arises can make all the difference. Of course, as always, we are only a phone call away! My employer does not have worker’s compensation insurance – what now? New York State requires employers to have worker’s compensation insurance to provide medical benefits, disability payments and death benefits to employees who are injured or killed on the job. So what happens when an employer disregards this obligation? New York’s Uninsured Employers Fund provides coverage for an injured worker whose employer does not have worker’s compensation insurance, so that a claim can still be brought. Alternately, the worker may choose to sue their boss directly (where normally, you cannot sue a properly insured employer). Although these options can be pursued simultaneously, accepting one precludes the other. 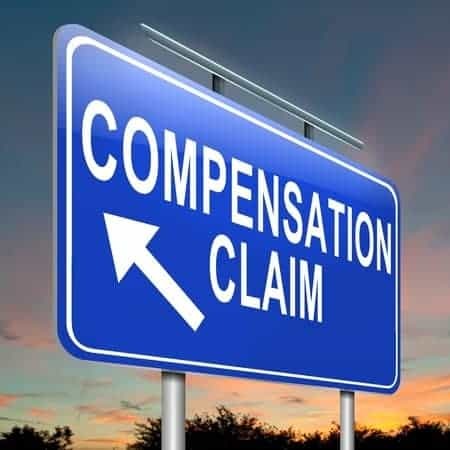 An employee elects one over the other when worker’s compensation benefits are accepted or a civil law suit results in a settlement or judgment for the employee. The right choice ultimately depends on many factors, such as the needs of the injured worker, the financial situation of the employer and the nature of the injury. Such decisions should be made with care and with the advice of a knowledgeable attorney. An employer that does not have worker’s compensation insurance may be subject to significant liability and penalties and will often retain an attorney in these situations. As a result, it is important that the injured worker get legal advice as soon as possible. Remember, help is a just a phone call away . Many have heard it, few have heeded the command. Many have said it, for better or for worse! So what happens when you are a passenger injured in a vehicle driven by your husband or wife? What if your spouse is responsible for the accident? Can you make a claim? : yes. Are you covered? : well, maybe. Readers, this will be my first installment of many posts with a universal message: read your insurance policy! If it is too boring for you, call me (I love this stuff)! New York law allows for law suits against your spouse. The catch is that in order for insurance coverage to apply, you must have Supplemental Spousal Liability Coverage in effect at the time of the accident. So should you get it? Well, if you are me, the answer is no, because my wife is perfect, infallible even (she reads these posts – hi honey). However, in the real world, people make mistakes, and these mistakes can have consequences. Also, the law allows a court to split liability between the parties involved in an accident. So while your beloved chauffeur may not be all at fault, the role he or she played in the accident can diminish your recovery by the amount they are found to be responsible. Supplemental Spousal Liability Coverage is just another way to protect yourself and your family. You may be surprised how inexpensive it really is…now that you know to ask for it. 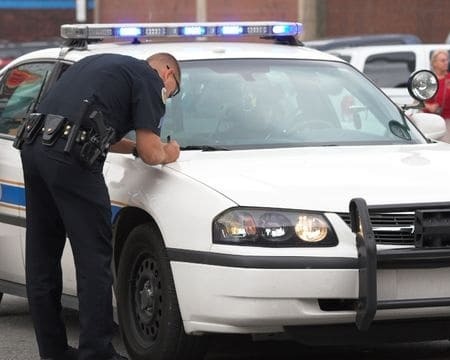 Police accident reports – opinion or fact? happen. Not to worry. This is just the beginning of our legal journey, and one great reason to call us. Police officers rarely witness an accident. They are usually called after the accident already occurred. Statements may be taken and factual observations may be made. However, this does not mean they are all the statements, truthful statements or that they are taken down accurately. Observations may lead to conclusions, but it does not mean they are the right conclusions. It is important to know that you can request that a police report be amended. While this is at the discretion of the police officers, it is worth a trip to the precinct that took the report to attempt to remedy missing or inaccurate information. If the police are unwilling to do this, have no fear, we are here! The legal system is designed to test these statements and observations in an effort to determine the truth. Your case is not won or lost based on the content of the police report, but rather what really happened. 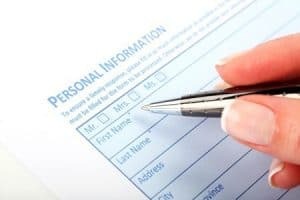 A police report is an important step in securing information regarding your case and the police should always be called following an accident. If the report is wrong, you may be able to get it amended. However, where amendments fail, justice can still prevail.